BitLocker is Microsoft’s solution to providing full disk encryption. While setting up BitLocker and encrypting your disk you probably want to check and view the progress and see the current status, as it can take quite a long time depending on the size and speed of your disk. Here we cover how to view the current BitLocker status in both the graphical user interface, and with PowerShell. The current status of BitLocker can usually be viewed through the graphical user interface (GUI), however in my experience occasionally this did not appear during the encryption/decryption process, or it would disappear completely. Below is an example of the BitLocker status in the GUI. As shown it simply shows the current progress, which may be all you want to know, however with the help of PowerShell we can also view the current status in additional to more useful information. With the help of PowerShell we can quickly and easily view the BitLocker status information of a disk by running the below command. Note that your PowerShell session will need to be running with administrative rights for this to work. By default this will display the BitLocker status for all disks, however you can also specify a specific disk afterwards as shown below. In this example we are currently in the process of decrypting a Windows 10 operating system drive, when the above command was run only 7.2% was left to be decrypted. The disk was encrypted with AES 128 as this is the default BitLocker setting, so to change this to AES 256 BitLocker first must be disabled which will decrypt the disk. The next example was run on an external USB hard drive. The conversion status shows as fully encrypted and the percentage encrypted displays as 100%, confirming that the disk encryption has completed. 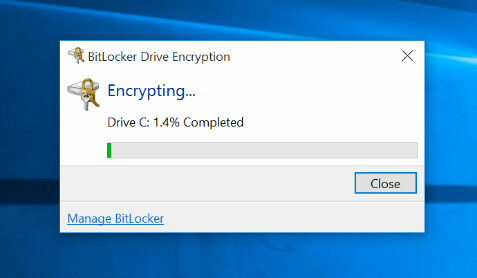 The conversion status could alternatively be listed as “Used Space Only Encrypted” when percentage encrypted reaches 100%, this is because BitLocker has the option of encrypting only used data which will be a lot faster to complete as there is less of the disk to encrypt but can be less secure, or full disk encryption which will encrypt the whole disk regardless of which parts are in use. While the manage-bde executable itself is not a PowerShell cmdlet (you can run it in command prompt if you like), we can view similar information regarding the status of the volume with Get-BitLockerVolume, as shown below. This shows us that the encryption percentage of volume C it at 100% as it’s completed. You can find the rest of the BitLocker specific PowerShell cmdlets here. These PowerShell examples clearly show the additional useful information that you can get regarding the status of BitLocker , compared to the simple GUI option. In either case we can easily and quickly view the current BitLocker status of a disk. As you’ve seen, there is a progress bar GUI. This is nice because it gives you a constant view of the current percentage while you do other work. The PS command line requires you to constantly execute to see status. Since I know the GUI exists, I’d like to know how to view it. Any ideas? I’ve not yet found how to willingly bring it back. To start up the BitLocker Drive Encryption dialog that shows you the percentage you have to run fvenotify.exe. I have found that most of the time the process is already running but not showing in the notification area. If you kill the process through task manager and run fvenotify again it will bring up the status dialog. Ah great, thanks for letting us know! Hi, I tried fvenotify.exe but its not working. I mean nothing came up. I can open BitLocker encryption dialogs but unable to track the status in numeral value. Can you please help me here? Manage-bde is a PowerShell command. Seems that author has little knowledge about this topic. You indirectly suggested there that manage-bde is a PowerShell thing while its not. Why aren’t you providing information about PS module for BL nor appropriate commandlets? I was simply using PowerShell to run it, sorry if it was unclear, I’ve updated it to mention the cmdlet as well. 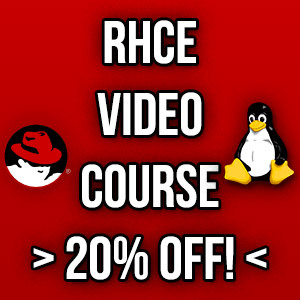 A more constructive post like this originally would have been more useful than your original one. Agreed!! The solution Jarrod provided was perfect. Simple and effective. Well Done!!!!!! I was able to access the BitLocker Encryption Status window using the taskkill command mentioned by farah. Thank you, Jarrod, for getting the discussion started.